First! If you are going to start Black Friday on Thursday . . . don't call it Black Friday, it confuses people. Yup, you guessed it! I had no clue deals started on Thursday. I was off in turkey coma then realized we were out of milk. (Insert favorite Got Milk? reference here.) I ventured off to WalMart since it was the only place open thinking it would be empty because everyone would still be in a turkey induced coma. I was COMPLETELY wrong. They were all at WalMart waiting for Black THURSDAY to start. The aisles were so crammed with people and gadgets I couldn't get through and no one was moving. They all had their hands on the box of the item they were going to get when the clock stroke six. I wish they had all turned to pumpkins at that time, but no luck there. After grabbing my gallon of milk I didn't have to wait until 6PM to get, I saw a stack of sewing machines for a price I couldn't believe. It was $400 OFF the regular price. I now found myself with my hand on a box, staking claim to a deal I couldn't pass up. My sewing machine wasn't working, I needed a new one anyway. At 6PM the police stepped away from the saran wrapped gadgets and allowed people to dig in. 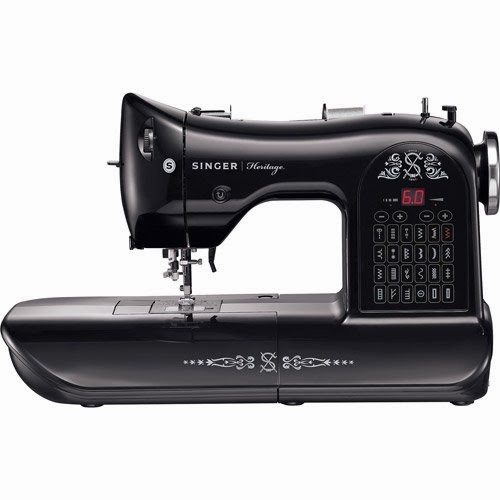 I began to rip away the wrapping and loaded up a brand new sewing machine. I had to then find my way to the check out, this was the real test of my determination to make this purchase. WalMart had moved clothing racks and end caps around to block off every which way. You not only felt like a mouse in a maze, you felt like there were 1,000 other mice in that dinky maze with you. Finally, after having to ask four associates and one police officer, I got to the entrance of the check-out line. The line took me from kitchenwares, through jewlery, wove up and down the purses and socks. Then finally you walked down a long aisle through women's clothing walking up to a sea of open registers populated with WalMart employees ready to ring up your purchases. The whole process took me about 30 minutes. Not too bad. Here's to finding deals when you're only going out to get milk.